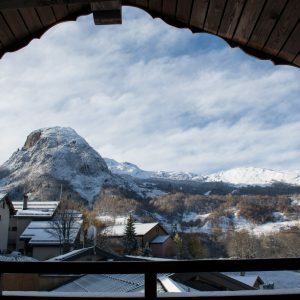 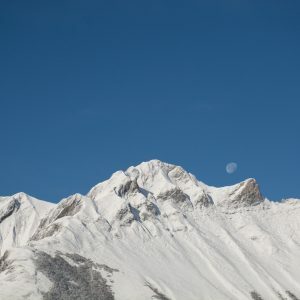 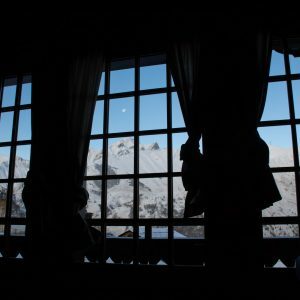 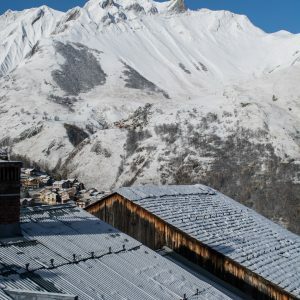 Beautiful mountain views, open fire, balconies, open-plan living and dining area - Rent this apartment in the Three Valleys. 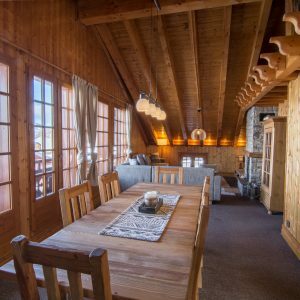 A huge open-plan dining and living area - A new large dining table will be purchased for this winter season! 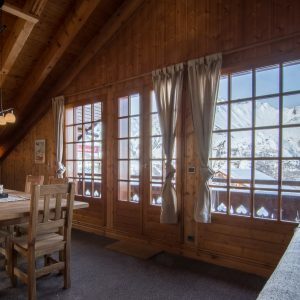 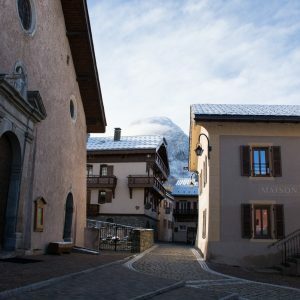 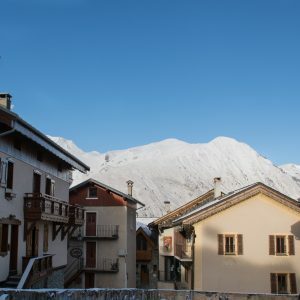 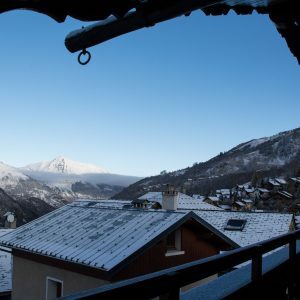 Rent this apartment in the heart of the 3 Valleys with beautiful mountain views. 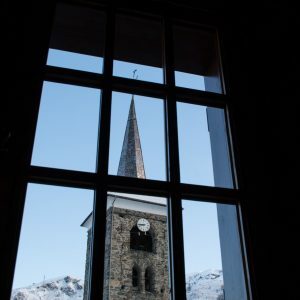 Views of the neighbouring church! 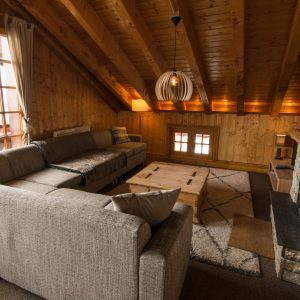 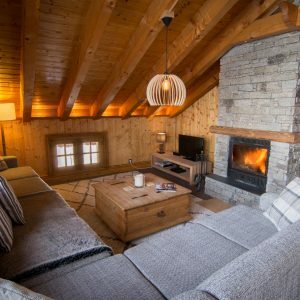 A comfortable chalet lounge with log fire - A brand new luxurious corner sofa will be purchased for this winter season! 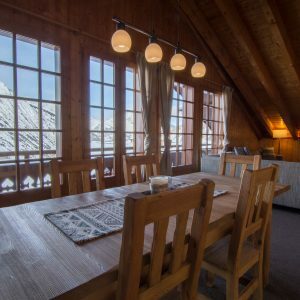 Chalet Perce Neige is a wonderfully spacious penthouse apartment taking up the whole of the top floor of Chalet Alice Velut. 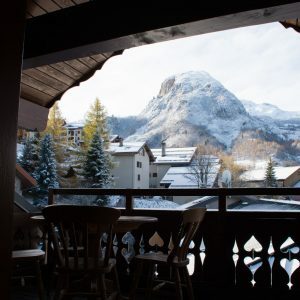 Stunning mountain views and a large dual aspect balcony with external seating certainly are some of the highlights of this apartment. 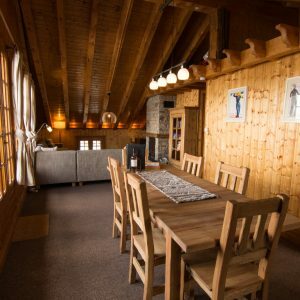 There is a huge open-plan living and dining area offering comfortable seating for up to 9 people! 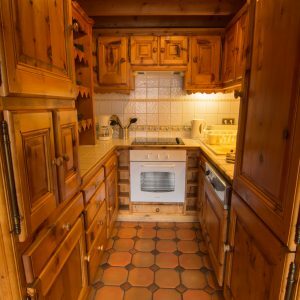 The separate kitchen is well equipped and situated right opposite the large balcony. 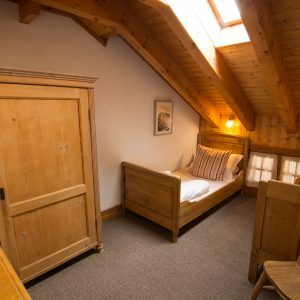 There are 3 bedrooms in total – The master bedroom enjoys an en-suite bathroom whilst the double and twin bedroom share a separate family bathroom. 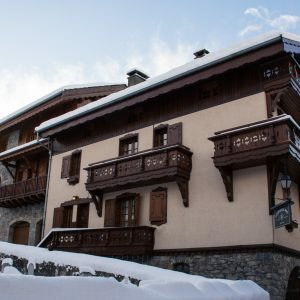 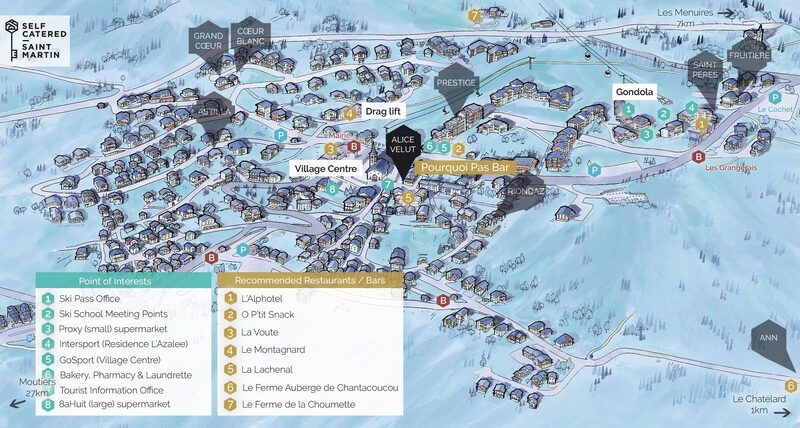 The ski apartment ‘Perce’ is taking up the whole second floor of ‘Chalet Alice Velut’ – Above the other apartments. 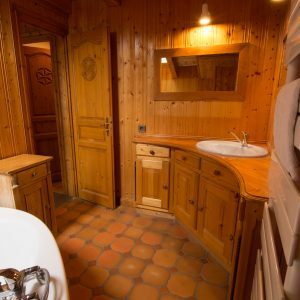 The prices above allow up to 6 people in the ‘Perce Neige’ apartment. 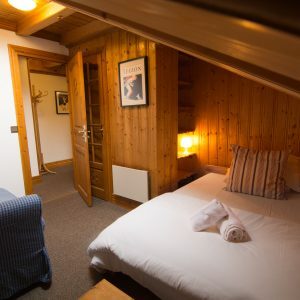 A 7th and 8th person can be added (sleeping on the fold-out beds). 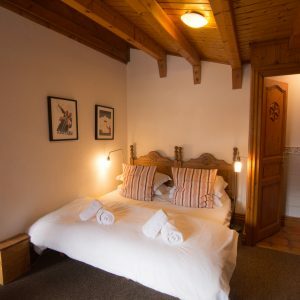 Our ‘extra person fee’ is charged.